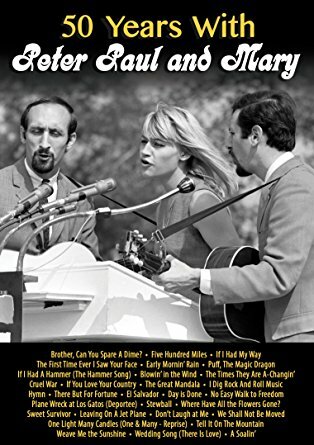 Peter Yarrow, Paul Stookey, and Mary Travers, better known as Peter, Paul & Mary, sold tens-of-millions of records during the early 1960’s pre-Beatles era and enjoyed a career that lasted until Mary’s death in 2009. The trio formed in 1961 and they quickly became an important part of the folk revival movement. Their smooth style helped to make folk music a part of the American musical consciousness. Their early hits, “Blowin’ In The Wind” and “Don’t Think Twice It’s Alright” introduced Bob Dylan to the American public. 50 Years With Peter, Paul & Mary is a retrospective of their career as seen through concert footage, news clips, and interviews. Most of their well-known songs are presented. There is early footage from a long-lost BBC program, the famous performance of “Blowin’ In The Wind” at the 1965 Martin Luther King march on Washington, the poignant farewell to Mary Travers nostalgic memorial, and everything in between. They are forever linked with the Civil Rights and Anti-War movement. Today their songs such as “Puff (The Magic Dragon),” “If I Had A Hammer,” “Leavin’ On A Jet Plane,” and “Stewball” may seem a little quaint and may have lost some of their impact but they are a reminder of a simpler era of the early 1960’s that quickly changed to a far more complicated one by the end of the decade. The video and sound tend to of varying quality depending upon the date and whether it was originally meant for general release. Everything has been cleaned up as much as modern technology allows but much of it is still not up to the standards of the day. There are probably better instructions to their music such as any of their compilation releases or any 0f their early 1960 albums. However, if you want to understand their career, then 50 Years With Peter, Paul And Mary is a good place to start. 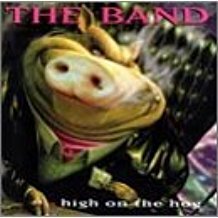 High On The Hog was the second LP released by the post Robbie Robertson incarnation of The Band. While there are some pleasant moments, it would prove to be the weakest of their three late career albums. The Band members would only write two original songs for this release and so would again cover other artist’s material to create the bulk of this album. Unfortunately, their choice of material would not be as wise as on their previous release, Jericho. Robbie Robertson’s solo work would range from average to very good but would not be as critically acclaimed or commercially successful as his early work with them. Likewise Garth Hudson, Levon Helm, and Rick Danko would emerge as an excellent cover band but would suffer from the lack of Robertson’s writing expertise. I have come to believe that Robertson was a better songwriter in a group setting, but he and The Band would never re-unite and rock music would be all the poorer for it. There were also some not so good moments contained on this release. There is an abysmal version of “Forever Young” which was a tribute to Jerry Garcia. It is just off kilter and ultimately one of the more depressing renditions of this often recorded song. “She Knows,” with a vocal by the deceased Richard Manuel, is not really a Band song. It was Hudson, Danko, and Manuel in a more informal setting and it would have better served Manuel’s memory to have left it off the album. The old Bruce Channel song, “Stand Up,” was an odd choice and the two Band originals, “The High Price of Love” and “Ramble Jungle” are average. High On The Hog may be the weakest album in their catalogue. It would not end their career but certainly did not enhance it either. They would remain an excellent concert band selling out mid-level venues across the country. This music has been around a while but good music is eternal. Landon Spradlin is a tried and true USA blues shouter and guitar aficionado who travelled to England two decades ago to record the music for this album. 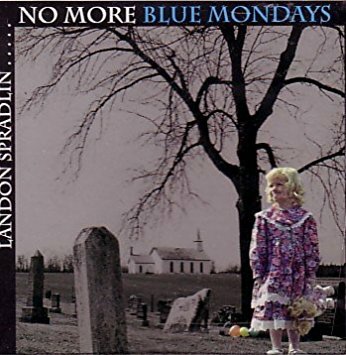 No More Blue Mondays was originally released in 1995 and now makes a long waited for return. Spradlin has a soulful voice that is unique for a blues musician but his frenetic guitar runs are pure blues. The old blues song “I’ve Never Been To Seminary” is a gritty re-invention of the tune. The title track is a smooth blues excursion that is fueled by his pyrotechnics on the guitar. Spradlin has shared the stage with such artists as Lee Roy Parnell, Rick Derringer, The Nighthawks, and the Kentucky Headhunters so it is good to see his work fronting his own band. No More Blue Mondays is a solid album dedicated to the blues. 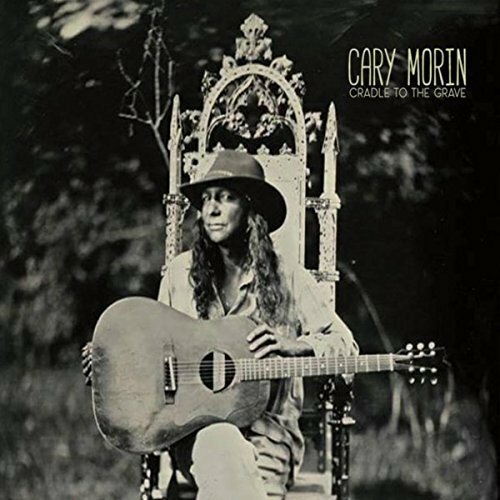 I always have had a soft spot for acoustic guitarists and Cary Morin is one of the best. He is at heart a roots musician who treads the line between folk music and the blues with some influences from his Native American heritage thrown in for good measure. The heart of his approach is his finger style picking as he accompanies himself on the guitar. His new album, Cradle To The Grave,” is the final piece in a trilogy that brings the evolution of his finger-picking style to a conclusion (for now). He primarily writes his own material but the three covers show his proclivity to take chances as he explores music outside his usual norm. Prince’s “Nothing Compares 2 U,” Phish’s “Back On The Train,” and a little closer to home Willie Brown’s “Mississippi Blues” allow him to explore a wide variety of rhythms. Cary Morin has issued an album that is both nostalgic and modern. It is an easy and thoughtful listen for the mind and ear. He is irreverent, somewhat amusing, and caustic but his faith in the blues is pure. He has just returned with a new album called Preachin’ Blues. 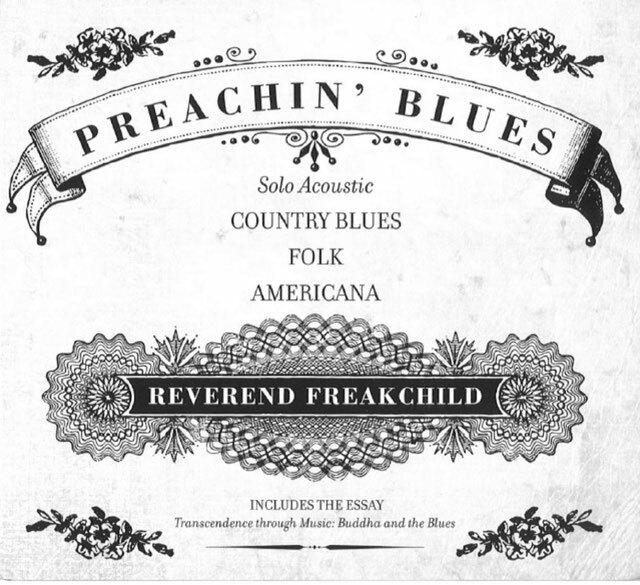 Reverend Freakchild, despite all his idiosyncrasies, is a traditional blues artist. It is just him, his guitar, and his songs. 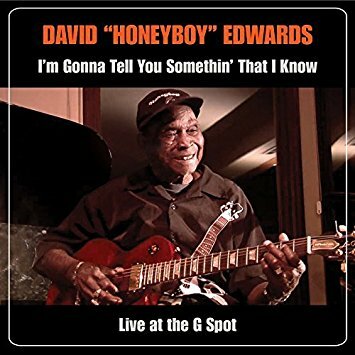 He is on solid ground when he leaves his shtick behind and concentrates on covering some of the classic blues songs from the American Delta. Blind Lemon Jefferson’s “See That My Grave Is Kept Clean,” “Preachin’ Blues” by Son House, Reverend Gary Davis’ “Wish I Was In Heaven Sitting Down,” and the public domain “In My Time Of Dying” are all presented in their gritty and ragged glory. These songs are meant for a simple, stripped down approach and his style fits that mold. He is also a capable songwriter as “Holy Breathing Blues” and “All I have Is Now” demonstrate. On the other hand, I could do without the essay “Transcendence Through Music: Buddha And The Blues” and his short philosophical pronouncements. Reverend Freakchild at his best is a basic acoustic blues artist. Preachin The Blues presents that talent admist a few distractions. 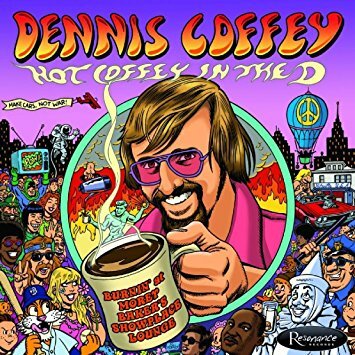 Dennis Coffey is one of those unappreciated gems that have inhabited the American music scene for the past six decades. He was a session guitarist at the age of 15 and during the 1960’s he was a member of the famous Motown studio band, The Funk Brothers. His guitar can be heard on dozens of hits for the label. Just listen to The Temptations “Ball Of Confusion” and “Psychedelic Shack” or Edwin Starr’s “War” for his cutting edge work. During the early 1970’s he branched out as a solo artist and received some national commercial success. He has continued to record, play live, and as a session musician ever since. While he played with the Funk Brothers during the day; in the evening he was a part of a trio that performed regularly at a number of Detroit clubs. Now a 1968 live performance at Morey Baker’s Showplace Lounge has been released as Hot Coffey In the D. Filling out the trio are organist and fellow Funk Brother Lyman Woodard, plus drummer Melvin Davis. This performance occurred several years before his solo career as a rock/funk guitarist took off, which spanwed his most famous material. The trio’s set consisted of two originals and a number of cover tunes, which were performed from a jazz/funk perspective. There are seven songs spread out over an hour, which provides a lot of room to explore the melodies and improvise. Hits of the day including an 11 minute “The Look Of Love,” an energetic version of Jim Webb’s “By The Time I Get To Phoenix,” and “Wade In The Water” tread the line between jazz and funk; fueled by Coffey’s jazz excursions. Herbie Hancock’s “Maiden Voyage” comes very close to the original. The two original tunes, “Fuzz” and “The Big D” occupy opposite sides of the musical spectrum. The concert opening “Fuzz” is eight minutes of Coffey creating sounds through distortion that very few guitarists have been able to create. “The Big D” finds the trio settling into a laid back and comfortable groove. His overall sound is not as hard as it would become several years later. What Hot Coffey In The D presents is a distinct developmental period of one of American music’s brilliant guitarists. 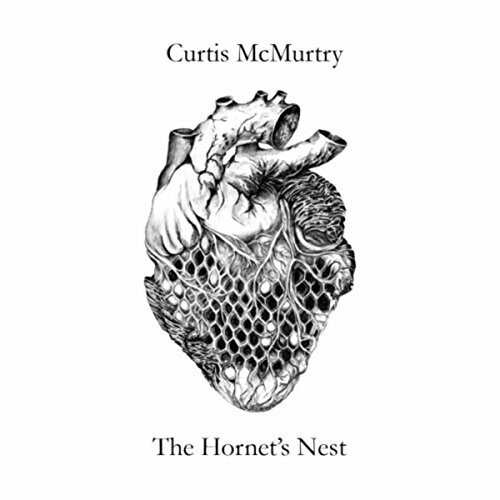 Austin based songwriter Curtis McMurtry is about to release an album of music that is very different from many of his Texas contemporaries. He uses a combination of instruments including a prominent cello, upright bass, trumpet, banjo, and a clarinet to create a unique and gentle sound. He combines his ability to combine varied instruments into a cohesive sound with an a skill to write short stories, which form a series of vignettes that add up to a united album of music. His topics of love, lust, loss, darkness, and nostalgia are presents as lullaby’s, chamber music, pre-rock pop, with some country thrown in for good measure. It all adds up to a different but interesting ride though the mind and soul of Curtis McMurtry. The Hornet’s Nest may be the road less taken but it is reflective music at its best. Chris Squire passed away in June of 2015 with his legacy as a progressive rock legend intact. His four decade career with Yes, plus his solo career and a number of side projects established him as one of the leading lights of progressive rock. Nikki Squire, his first wife, is not as well known and has had a decidedly less prolific career but she also has created very distinct brand of progressive music. She has fronted Esquire since 1982 and produced music that fuses traditional progressive rock with artistic and symphonic elements. Albums by Esquire have been few and far between. Their self-titled debut was released in 1987 and this was followed by 1997’s Coming Home. Her long time co-writer Nigel McLaren passed away in 2015 and Nikki had to finish their last album together alone. 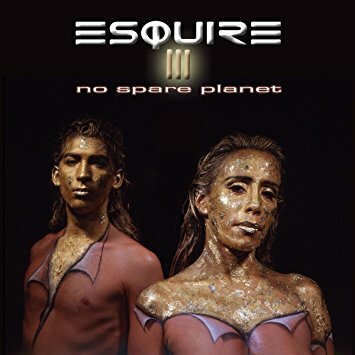 Esquire: No Spare Planet completes the band’s trilogy of albums. Squire has always had a powerful voice and it is on displayhere, especially in the album ending “Heaven Blessed.” The rhythms of the songs are unusual and very different from what one usually expects with the progressive rock format but they do come together here in a cohesive way. If this is the last album from Esquire, then they have ended their recording career on a high note. John Wetton is best known as the lead singer and bassist of Asia. He was also an important member of UK and the Red-era of King Crimson. More under the radar has been his solo career. 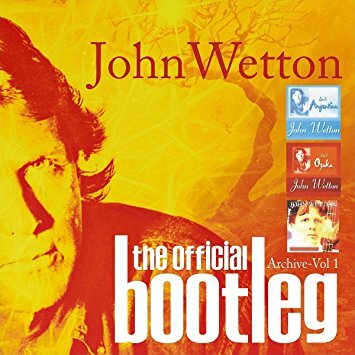 That fact has now somewhat been rectified with the release of a 6-CD Box set titled The Official Bootleg. Much of the material has been previously released but has been out of print for at least a decade. Now they returns in a re-mastered form, which has greaty improved the sound quality. The band has a changing set of basic characters but it is drums, guitar, and keyboards to back is bass and vocals. His solo style is more laid back and simple than his best known work. It puts more emphasis on the lyrics than the sonic textures of the music. This is the type of release that will appeal to his fan base but may not garner broad commercial appeal. He was a musician who was a part of one of the most commercially successful bands of its era and another who creatively extended the parameters of rock music. While his solo music is somewhere in-between the two, it is a satisfying experience if you are so inclined.